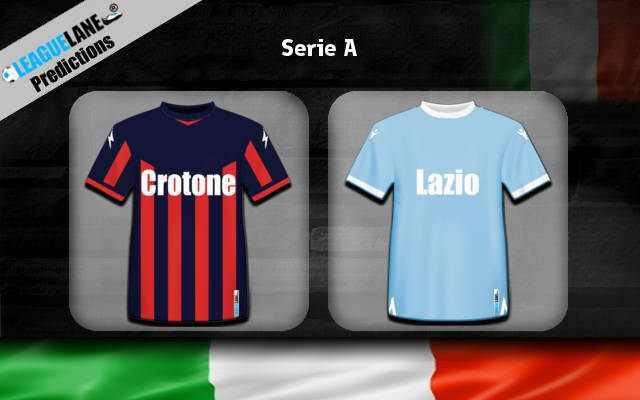 It’s a sort of déjà vu as Crotone take on Lazio, albeit not in the final game of the season as the Squali welcome the Aquile. Will they be able to take a bite out of the visitors from Rome this time around? Last time, they managed to beat them to avoid the drop? They were in great form last time whilst the Aquile were just coasting along. This time the Aquile are locked in a tough battle for a Champions League spot, but took a major hit by drawing with Atalanta last weekend. Their 1-1 stalemate leaves them under a bit of pressure as they take on Inter in their final game. They have high hopes of improving on their fifth placed finish and they have just two games to go to make sure they finish in the top four. They must win this game to make sure they remain ahead of the Nerazzurri before their last game of the season. Lazio have won 12 away games all season which is impressive. Crotone have won just six times at home and are hoping to scrape by yet again. They’re not in the drop zone, but hanging on by their fingernails. Just one point separate them from 18th placed Cagliari in a very congested relegation battle, and things could get quite interesting between now and the final matchday if they can’t pick up a point. Lazio are missing Ciro Immobile here which could make things really tough for them here. They notably struggled against Atalanta and Crotone have scored in their last three at home but expect the visitors to edge this one nonetheless. Lazio – WIN at 1.86.